Paul, a Boston native, is cartoonist, illustrator, photographer and author who has been at the drawing table for the past 40 years. He has drawn thousands of cartoons both political and gag over that period. He is also the author of 4 children's books and will be starting a fifth in 2014. His children's books are available at www.bikersareanimals.com, Amazon.com. 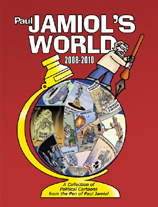 He has also published a book on his political cartoons. At 68 years young he continues to work at his drawing table commenting on the world around us. He has been recognized for his work locally, nationally and internationally. 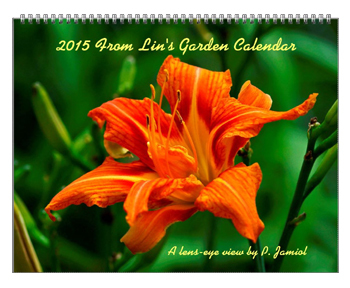 The 2015 From Lin's Garden Calendar is a look at the gardens of his much better half Linda, through his camera lenses. This calendar is a tribute to her. These photographs were taken with manual lenses and are of 12 different distinctive flowers. Each month has it's own unique look. The 2015 Lin's Cosmos Calendar is a look at the these unique colorful flowers that reside in the garden of Jamiol's much better half Linda. Jamiol looks through his camera lenses and with his photos brings out the stunning beauty of the Cosmos. These photographs were taken with manual lenses and are of 12 different distinctive Cosmos. Each month has it's own unique look.